I was asked recently about redemptive work in our ordinary lives, and I thought it might be helpful to give some examples. There's a coffee shop where the long benches encourage community. 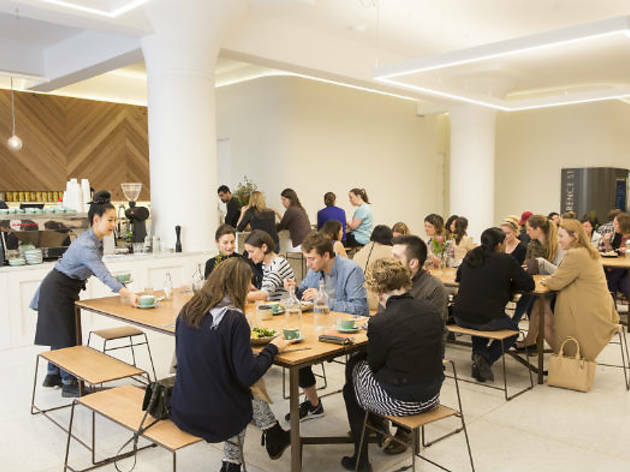 The coffee and food are exceptional, healthy, ethically-produced and reasonably-priced. The service is personal and friendly, with follow-up questions. No-one is in a silo if a customer needs help, even the celebrity barista. Conversations between customers and staff are opportunities to dwell. There is recognition for regulars. It's CBD-based so people tend to rush in, but leave more slowly, and usually smiling. There is even a cross in the logo. These themes of relationship, hospitality, healthy food, ethical production, excellent work and community-building are all gospel-breathed and God-honouring.